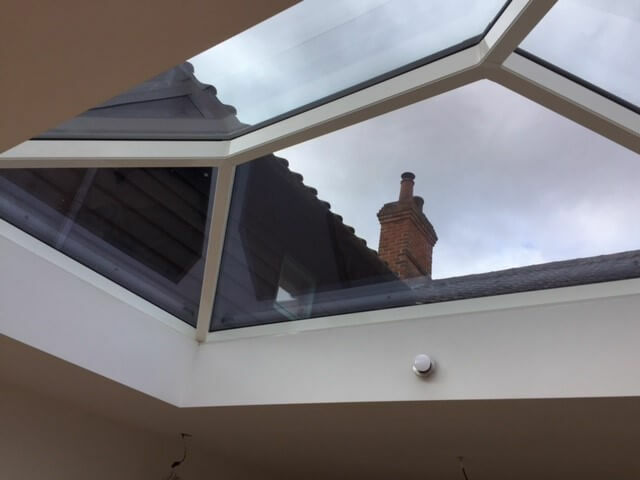 Roof lanterns are the ideal solution for transforming your extension, orangery or flat roof in Southbourne, Bournemouth, Christchurch and the surrounding areas. These stunning additions to your home will help you to create a luxury living space which you can enjoy for many years to come. 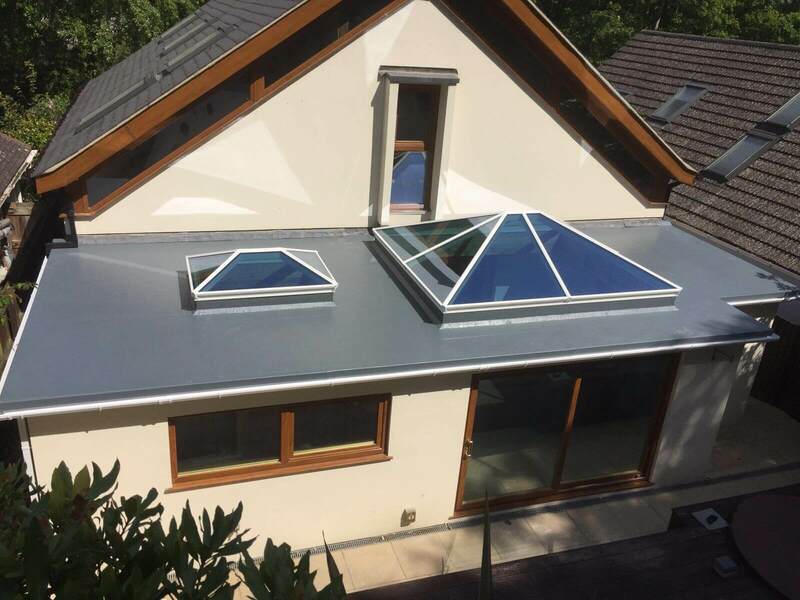 At Immaculate Home Improvements, our commitment to quality means that we install the very best roof lanterns available, working with leading manufacturer Korniche. The Korniche roof lantern is far superior to its competitors in every way, giving you a wealth of benefits unmatched in the industry. 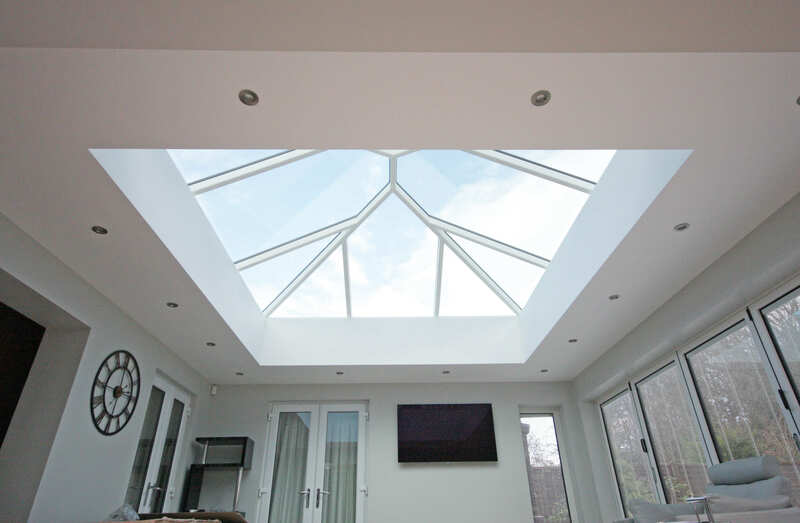 Our stunning skylights and roof lanterns will provide you with a remarkable feature to enchant your guests, they will flood your living space with natural light, and they will give you unrivalled thermal performance, making your home more energy efficient. Our market leading roof lanterns are stronger than alternative options. This is due to the anti-crush tube that is fitted between the rafters and bolted together combined with robust die cast aluminium lugs, which make up the cornerstone of the roof system. In addition to the innovative design and cutting-edge technology, aluminium in itself is an extremely durable material which boosts the strength of your skylight further. Your new installation will withstand even the worst of the British weather, and they are capable of holding huge weights, ideal for protecting you from winter snowfall. Alongside this, these state of the art roof lanterns will help you to keep your Bournemouth home warmer for longer. They are precision engineered using the latest glazing techniques and materials, to ensure they offer ultimate thermal performance. Every roof lantern made for customers in Bournemouth and Southbourne is injected with Liquid Silicone Rubber (LSR) to create moulded seals to the patent pending aluminium bosses which act as a barrier from the wind and the rain. So, no matter how cold it gets, your living space will be warm and cosy, helping you to save on your energy bills as your heating will last longer. Our energy efficient roof lanterns are specifically designed to maximise the thermal efficiency of your home, creating a superb barrier against the elements and trapping your heating within your property. Our roof lanterns in Bournemouth, Southbourne and Christchurch are designed to the highest standards. The high-grade aluminium they are crafted from allows for super slim profiles. These strong and sturdy frames are designed to ensure you benefit from the highest natural light influx possible. The fixings of the structure are hidden away within the spas and ridge profile, creating a sleek finish, both externally and internally, and we can finish your installation with a stylish pelmet – ideal for concealed lighting and speakers. Our aluminium roof lanterns are precision engineered to meet your every requirement, offering a stunning addition to your property. The durable and stylish aluminium will blend in perfectly with your architecture, allowing for an unobtrusive finish which complements the style of your Bournemouth property. Immaculate Home Improvements are experts in every aspect of property upgrades, giving you a superb combination of knowledge and a flair for design. We will work with you to design a bespoke roof lantern for your property, which matches your style choices and your living space. 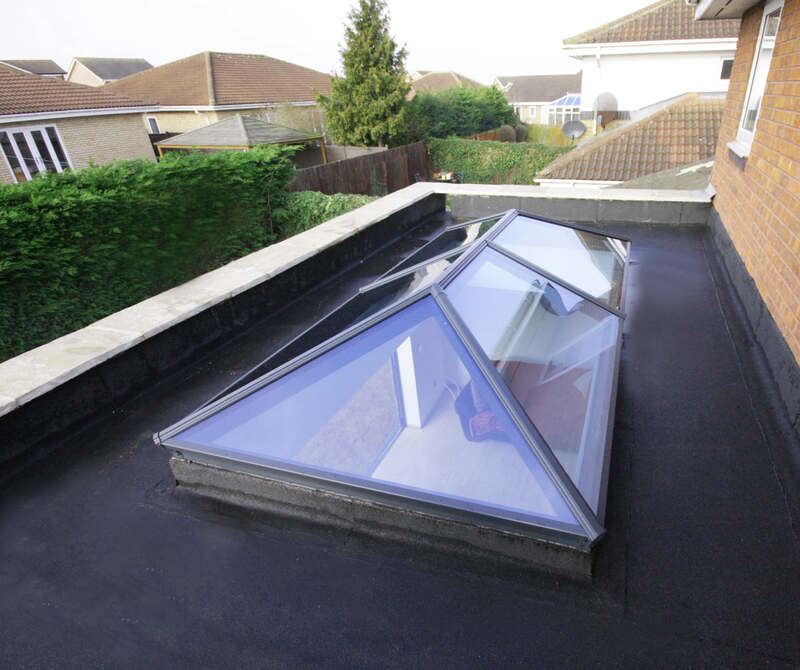 Our roof skylights are then installed by our highly trained and skilled double glazing installation team. They will take the utmost care of your home, and they will do all they can to minimise disruption to your lifestyle throughout the installation. You will benefit from a quality, high end finish too, as our expertly crafted roof lanterns and our talented installation team create a luxury home improvement. Our roof lanterns offer Bournemouth and Southbourne homeowners the opportunity to achieve an exquisite living space. Whether you will be using the area as a dining room, home office, socialising space or anything else, you will benefit from a vast range of excellent features when you choose Immaculate Home Improvements. Once we have completed your installation, our team will make sure you are aware of any technical information, and they will clean up their work area, leaving it as tidy and neat as it was when they arrived. Nothing is too much trouble for us, and our customer reviews testify to the excellent support and care we provide to our clients. Fast turnaround – Immaculate Home Improvements boast a fast turnaround on our bespoke lantern roofs. Further to this, we’ll keep you well informed on timescale and arrange the most convenient time to carry out the work. Professional service – Our skilled team of home improvement and construction experts have more than twenty-five years’ experience. We complete all work to the highest possible standard. Taking huge pride in all work we do. Fully accredited company – For your complete peace of mind, Immaculate Home Improvements are associated with some of the most respected companies in the industry. Including Which Trusted Trader, Checkatrade and Trustmark. Family Run Company – We are a trusted, family run company based in the beautiful seaside town of Bournemouth. Get a more personal experience when you choose to work with Immaculate Home Improvements, find out why we are a leading home improvements company. Transforming your living space with our luxury skylight roof lanterns might not cost as much as you think. These stunning additions to your property could even add value to your home. 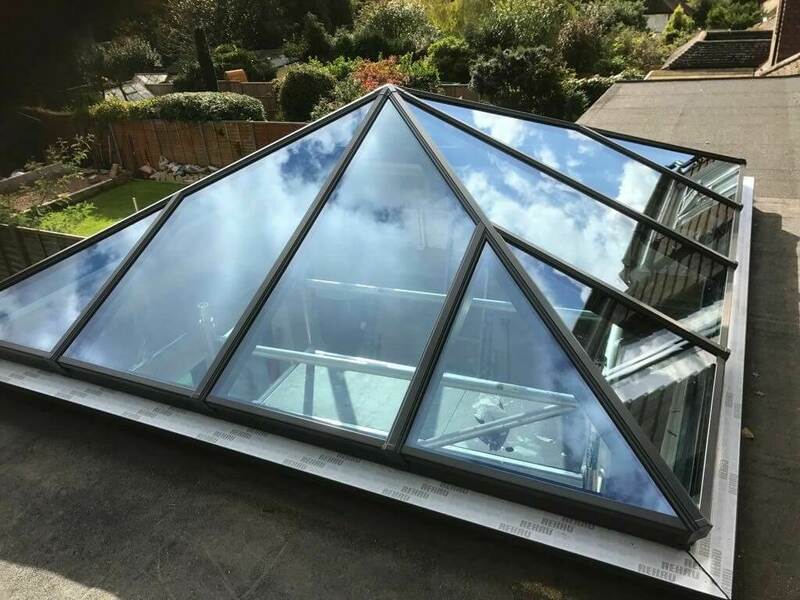 At Immaculate Home Improvements, we provide our customers with a fantastic combination of quality, performance, style and value with our roof lanterns in Bournemouth, Southbourne, and Christchurch. Our roof lantern prices are superb, so please do get in touch with our helpful team who will be happy to support you with your Bournemouth home improvements.